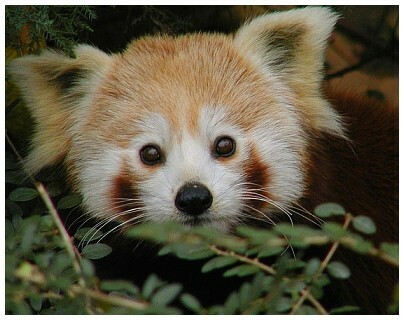 other characteristics: The Red Panda is only indirectly relative to the Giant Panda. Characteristic are the pointy ears, the color of the fur and the bushy tail. It reminds of a raccoon. The Red Panda is sensetive to heat. Therefore it sleeps in the trees during the warm daytime.